Ok, so you’ve finally decided to build an online presence for your business but let’s hope you’re not too late. You know, the modern Internet has been around since 1990 and Google took off in 2004. So one might wonder, is it too late to take advantage of this digital trend? Well, the good news is that you’re not too late and if you’re reading this, give yourself a pat on the back for being proactive. Today building a business without a plan for an online presence is like saying you don’t want to make money. Let’s face it, one of the first things modern consumers look for is your online presence. In fact, it’s becoming somewhat of a trust signal to people. For plenty of consumers, not having a website or social media presence can decrease trust. Your online presence should be part of your overall marketing strategy. We’re going to give you some tips for building a strong digital presence. Are you ready? Happy to oblige! For most businesses, the ultimate goal of being online is to increase sales. But sometimes it can be brand awareness or to build a community of advocates. You have to know why you’re doing it. 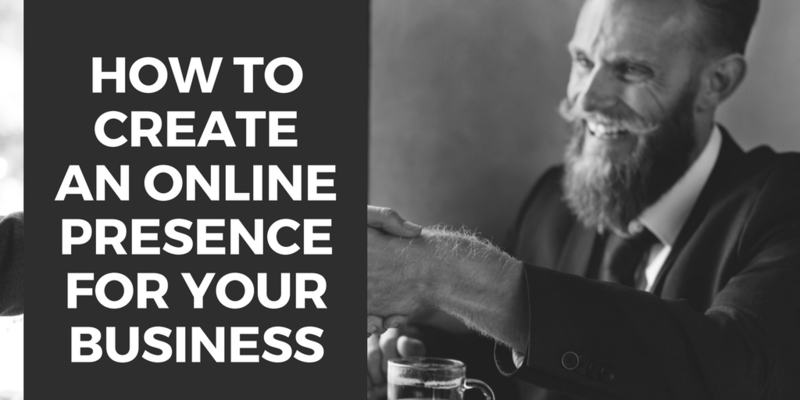 Why do you want to build an online presence for your business? Really, think it through because this is how you’ll stay focused on results. Knowing your target audience will help you craft an online presence that is fitting for them. You need these people to pay attention to your business and the best way is to know about them. Things like their potential interests, job roles, hobbies, where they go to consume info and much more. A persona exercise can help you understand your customers. Personas are fictional representations of your ideal consumers. Your online platform is your website and your site is arguably your most important online business asset. It’s a place where people can go to learn about your offers, interact, engage and contact you. Best of all, you control it unlike focusing efforts on someone else’s platform. The “we’ve got a Facebook page and that’s all we need” is costly and counterintuitive. So focus on using other platforms to attract visitors to your site (or your platform). Your UVP is the ultimate reason why consumers should pick you. This is a clear statement that informs prospects about your offer, how it solves their problem and why they should choose you. Your UVP should be clearly placed as a sub-header or visible on your landing page. The UVP here is that you can easily get work done, communicate and collaborate with co-workers if you use Office. Being social has its benefits and shouldn’t be ignored. Social media is important for driving traffic to your website and increasing brand awareness or recognition. Sharing valuable content, interacting and participating in social media groups will help you attract new customers to your business. Also, you can’t advertise on social media platforms without an account (if you’re interested). When choosing social platforms for your business, think of your ideal customer because you need to know that they use the platform. If your target audience isn’t on Twitter, will they be on Facebook? Don’t pick platforms because they’re popular, rather choose the ones that you can reach your target market with! 6. What’s Your Content Marketing Mission Statement? Your content mission statement is the value that you plan on providing to your audience. It’s what governs your content creation and the reason you exist on the web. Yes, why are you online? If your answer is that you want to make money, sure, no problem. But without providing value, that’s going to be tough. Value is why anyone would visit your site, sign up to your newsletter or even make a purchase in the first place. So you should have a mission statement for your business and what you create or share online. Search engine optimization is crucial for growing your website traffic. After all, 81% of consumers use search engines to conduct online research before buying anything! SEO is the process of improving a given website’s rank in search engine results pages (or SERPs). But in practice, SEO can be extremely complicated and that’s why you should outsource it. Why? For one thing, it enables you to focus on other important areas of your business and it’s not like you’re an expert yourself. Are you? There’s a reason why the biggest companies either have a team of marketers who handle SEO or outsource the discipline completely. It’s because they know it works! Just like in the metaphysical world, you’ve got to reach out and build relationships with like-minded or other reputable businesses in your space. Social media and email are great tools for doing this. You can meet really amazing people just by joining social groups, forums and reaching out to other business owners by email. Make sure that you’re offering value by being helpful, rather than constantly shoving your products down their throats (figure of speech). Yes, you should give out freebies! Here’s the thing, it’s not hard for anyone to find what he or she is looking for online for free. So instead of hogging information, why don’t you give it away for zero dollars? This will build your credibility as a brand and if done right, you may even score some leads from it. Everyone is looking for the “what’s in it for me”, so might as well use this behavior to acquire some potential customers too. How? Ask for the minimum information that you need to contact them before they download or access your freebie. Then you can hand them over to your salespeople. Don’t require your visitors to give out their personal info on everything. Instead, only ask for it when they want to access your most valuable & useful content. Furthermore, coupons, promos and other special offers are great for improving your online image or how consumers perceive your business. There’s no other way to know if your marketing efforts are working unless you track your results. Installing Google analytics or Piwik on your website can help you track visitors and engagement metrics, including conversion rates. Don’t be afraid to change direction if something isn’t working the way you expected. But be patient! Patience is key and try not to set unrealistic expectations. The worst thing you can do is completely change trajectory when something just needs more time to work. However, adjustments are fine and encouraged. Marketing is fundamental to business success but it takes time, even with a massive budget. One of the reasons is because of the human factor involved. Most of us behave in different ways, share different interests and paradigms among others. So there’s a delay of gratification when it comes to marketing a business. So don’t sweat it if things don’t meet your projections. Just analyze situations and adjust accordingly or where necessary. 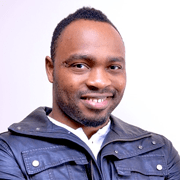 Gabriel Nwatarali is the founder of Tech Help Canada and a digital marketer that is super-passionate about SEO. Follow him on Twitter.